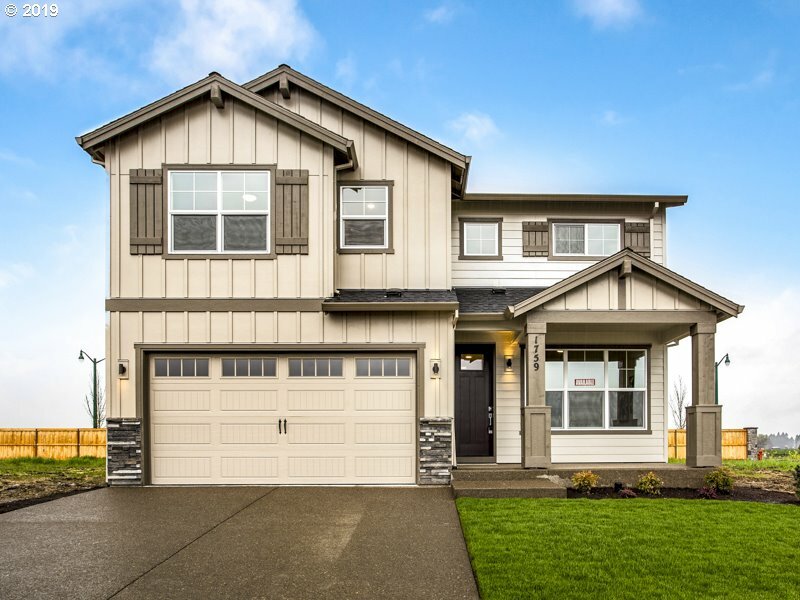 All Forest Grove homes currently listed for sale in Forest Grove as of 04/21/2019 are shown below. You can change the search criteria at any time by pressing the 'Change Search' button below. 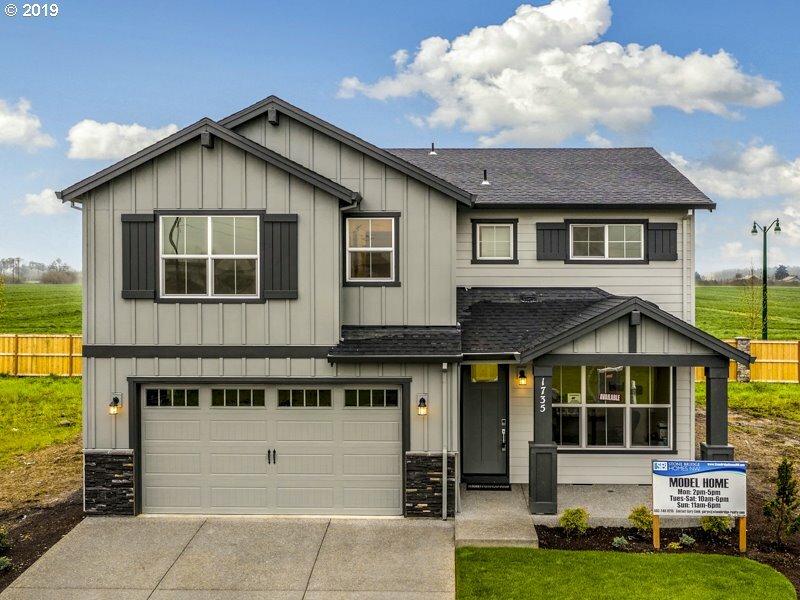 If you have any questions or you would like more information about any Forest Grove homes for sale or other Forest Grove real estate, please contact us and one of our knowledgeable Forest Grove REALTORS® would be pleased to assist you. 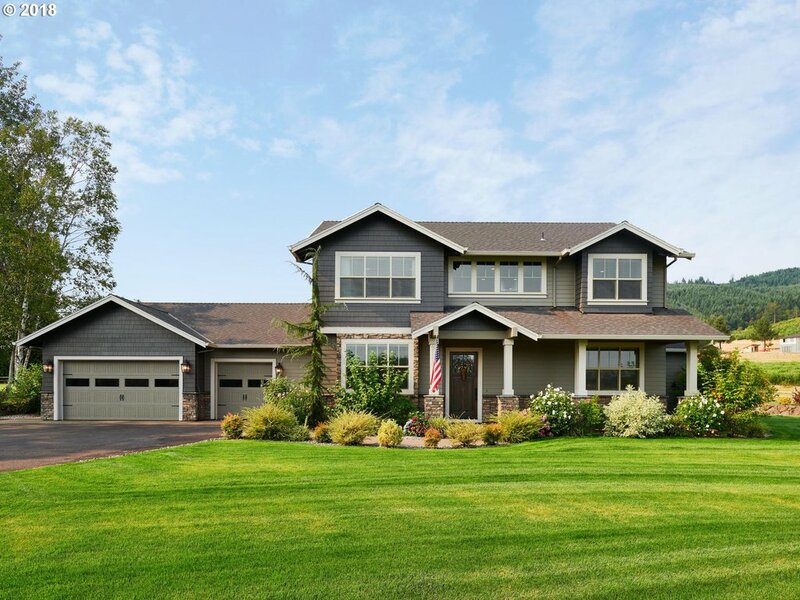 "Located just minutes to Hi-tech on 57 acres of prime farmland this custom built home boasts tastefully selected use of granite, Brazilian cherry hardwoods, intricate woodwork, and quality finishes throughout. 9,000K SF of enclosed outbuilding space, 2,700K SF of refrigerated space with 13,000 + in total undercover. Established Spring water business with water rights included. A truly rare opportunity for the astute investor/buyer." "Classic, custom architecture reminiscent of the perfectly designed beach home it mirrors. Straight out of the pages of House Beautiful Magazine. Private & quiet 2.57 acres zoned for high end 7 lot residential development opportunity (6 proposed lots plus existing home). The kitchen of your dreams basked in natural light opens to fabulous open floor plan. Fully appointed master retreat on the main." "A gorgeous custom craftsman home(Mascord) on nearly 3 acres with master on the main!!! This home boasts tall doors and ceilings. Extensive millwork compliments these features. Other details are: 2 tankless w/h, int. sprinkler system, net-blown insulation, no OSB construction, viking apps, 2 furnace & 2 a/c, press. water sys. 2000SF shop(with its own 200 amp service) includes a man cave with lovely amenities including a full bath." "Gated & Private Paradise w/stellar Mtn/Coastal views in close prox to High Tech & all services. 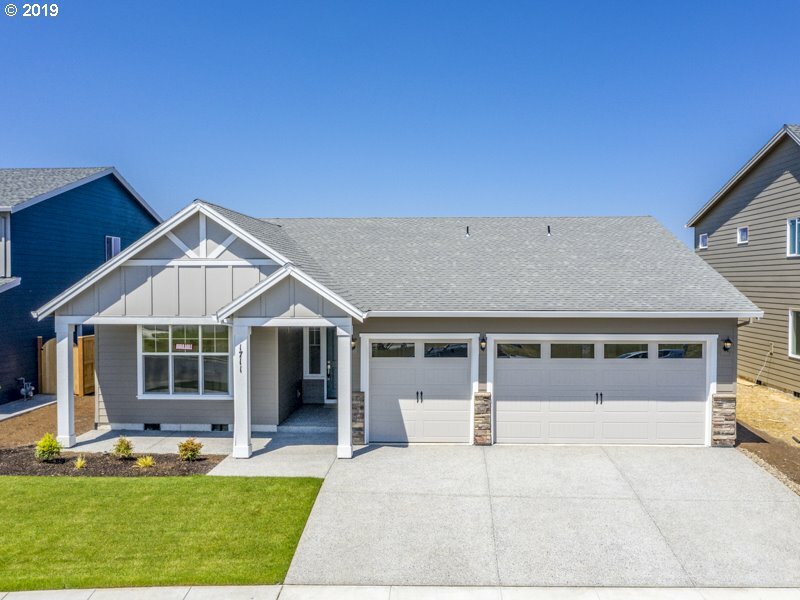 Many upgrades: 4th car garage, outbldg, solar panels, remodeled bath, new safe/music rm, all new carpet & lwr lvl flooring, Arlo Security, well pump & more! Gracious in/outdoor entertaining w/wraparound view deck/lg patio, gardens, greatrms, hi-ceil, blt-ins, stone/granite/hardwd & Separate Living capability, Hi-Speed, interior utility shop!" "Beautiful 1888 Victorian home. While many of the beautiful vintage details have been preserved including 10 Cast-Iron Fireplaces with imported tile surround, sliding pocket doors, and leaded windows. There have also been significant updates to the electrical, plumbing, and HVAC systems. *Home is currently producing income as a short term rental." "Located near winery & easy access to High Tech Corridor. Architect Designed Home totally Rebuilt in 2002. 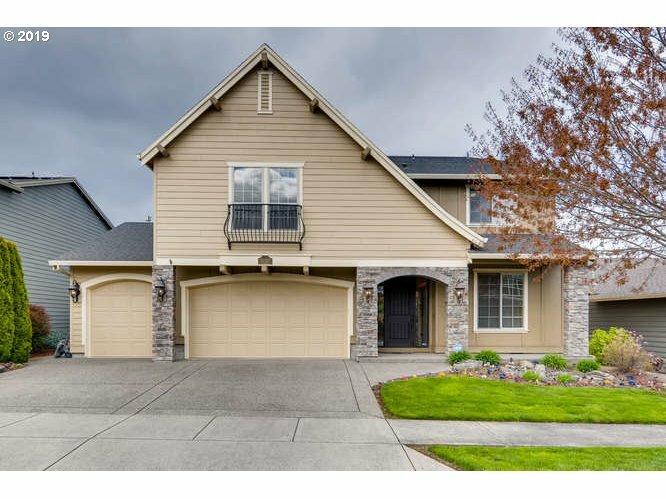 Home features:Views of Mt Hood/Jefferson from Living/Dinning Rooms, SS Appliances,Island w/Sink,Walk-in Pantry; Master w/Heated Floor in Bath & W/I Closet; Family Rm w/Wet Bar; Wine Cellar & Geothermal Heat. Outside offers 2 Covered Patios, Landscaped Yard, 36x48 Shop w/220 & Concrete Floor, 20x48 Covered RV Bldg & RV Hook-ups." 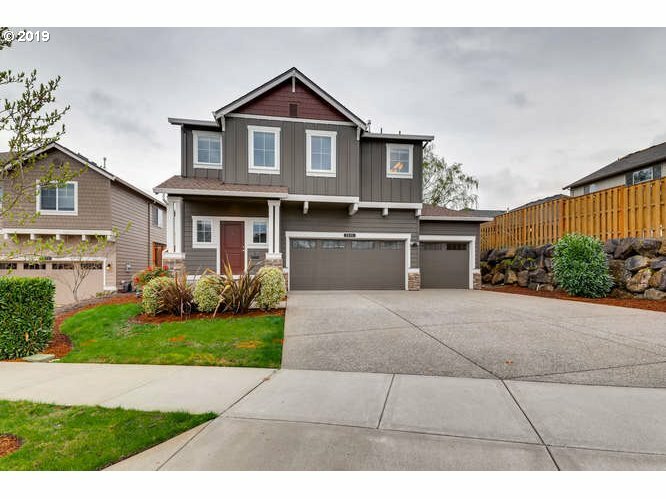 "Beautiful earth advantage home with open floor plan large kitchen, island, pantry to the dining room & living room wired for sound w/ fireplace. Fenced back yard & gas hook and 2 covered patios, perfect for entertaining. Den/office/guest room on main. Spacious bedrooms & huge bonus room upstairs offer lots of options. In-law suite on main. Central VAC system. Air cleaner runs every hour. Tankless WTR heater. Community clubhouse & pool." "Open Sat. April 20th, Noon to 2pm! 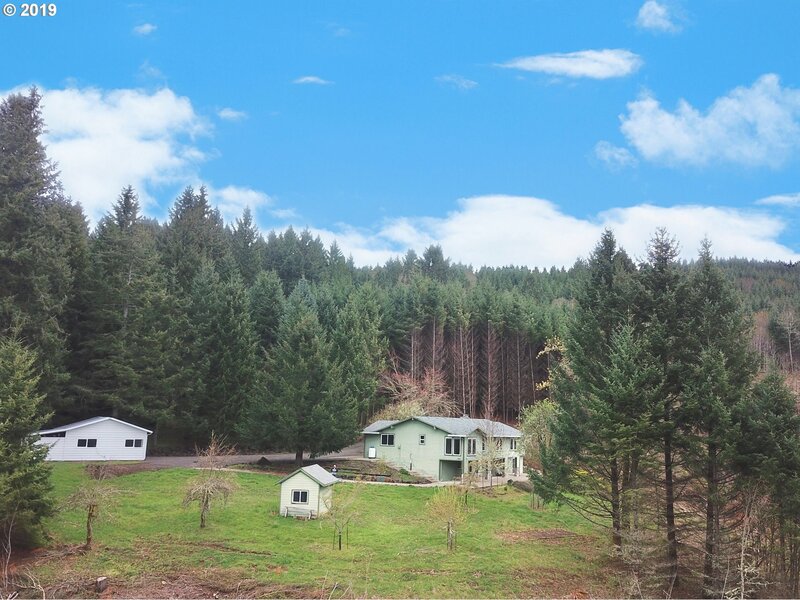 If you're looking for a stunning territorial view property, look no more! Gourmet kitchen w/SS appl, Wolf cook-top, built-in oven w/warming drawer, Sub-zero & BI-cabinet refrigerators, huge island all while being open to the living area for easy entertaining. This home features 3 fireplaces, master on main w/sunroom-den, bonus room on lower level, heat pump, new septic tank, 24X25 shop & SO MUCH MORE!" "This amazing 4,000 sq ft home sits on a large lot overlooking spectacular green space. Expansive views enjoyed off spacious great room/deck. Gourmet kitchen, formal dining, large bedrooms with walk-in closets, and master on main. 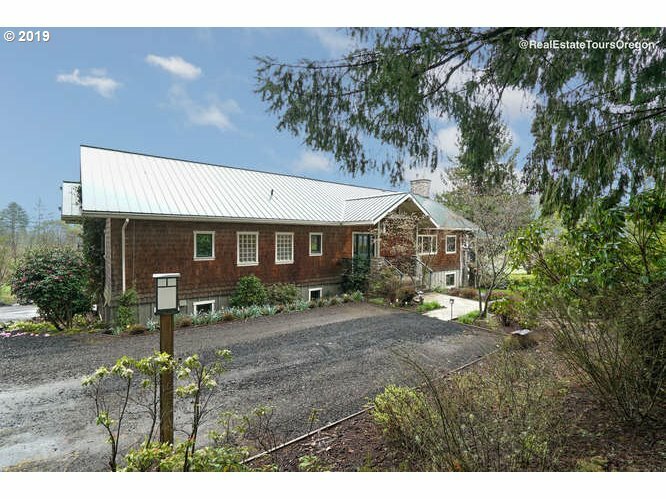 Wow-factor rec room could be converted to in-law quarters or ADU. Beautifully landscaped, Irrigated yard with waterfall & pond. Dog run, tons of storage, central vac, A/C, and RV parking." "Custom-built Frank Lloyd Wright inspired home w/separate living residence. Offering high-end quality finishes and thoughtful open design. Main home has 3 bed/ 3baths with potential for main level living. Chef's kitchen, hardwoods/granite. 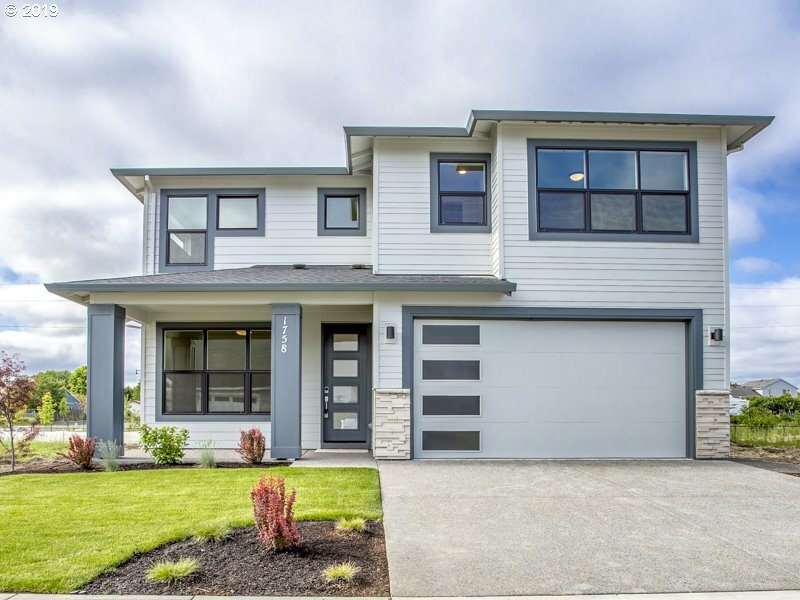 The detached 3 car garage has a separate living residence above w/open concept design & 1 bedroom/1 bath. Rental Income Potential, Airbnb or dual family living, buyer to do due diligence." "Small acreage and quiet country living close to town and high tech. Completely remodeled farm house with all new finish's, siding, windows, paint, flooring, updated landscaping with lots of room for small farm activities and storage. Room for RV's, with a cement stringer pad for mobile home hardship uses. Over 1,000 feet of inground PVC 1 1/4 mainline irrigation." "Beautiful traditional home with large spacious rooms throughout. Fantastic floor plan for entertaining. Main floor office/bedroom. Mud room w/pet shower for Fido. Gourmet kitchen with granite, gas cook top & island. Master suite w/sitting area & double walk in closets. Large family room upstairs. Private covered patio with a fireplace. Large attached RV garage for your toys. Clubhouse with pool & rec area. Earth Advantage home." 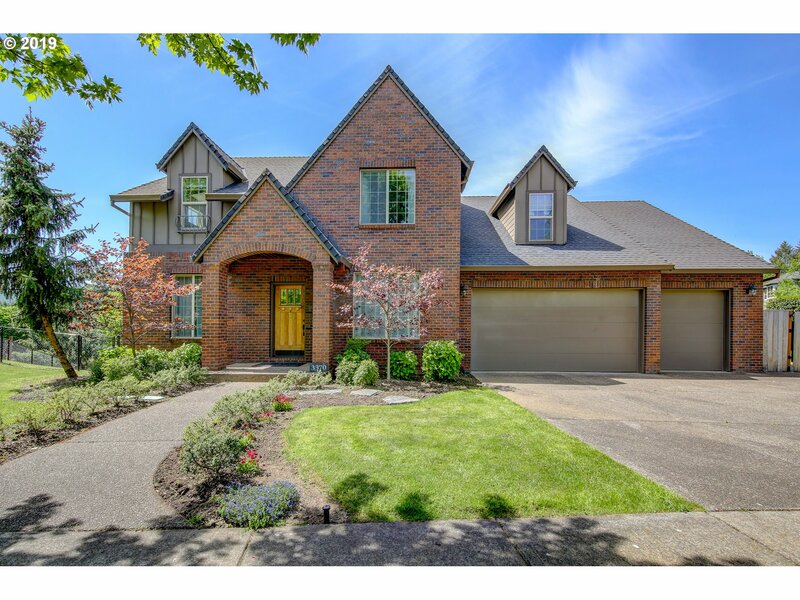 "Fabulous & spacious floor plan w/fantastic gourmet kitchen including hardwoods, granite, eating area, large walk-in pantry and storage/wine cellar. 5th bdrm/den on main w/French doors & full bath. 4 bdrms + large bonus rm. on upper level w/walk-in closet. Master suite w/flex room w/bath & w/i closet. 3 car garage, fenced yard w/patio. Beautiful meticulous home with new interior paint 2019 and exterior pain 2018. Preapproved buyers only." "Backs Greenspace! Slab quartz countertops, full tile backsplash, SS sink in Kitchen. Contemporary slab cabinetry. SS Kitchen appliances incl 36 induction cooktop, wall micro, dw & KitchenAid canopy hoodvent. Upgraded flooring in entry, kitch, greatrm, dining & owner's entry. Contemporary gas fpl in greatrm w/floor to ceiling tile. 5'x4' tile shwer w/bench in master suite w/ soaker tub & w-i closet. 16'x13' covered patio." "Slab quartz countertop, tile backsplash, SS sink in Kitchen. Slab Alder cabinetry. SS Kitchen appliances incl 36 Verona pro gas range & hoodvent, Whirlpool dw & microwave. Luxury vinyl plank through entry, kitchen, dining, greatroom. Gas fpl in greatrm w/stacked stone & wood mantle. 5'x4' tile shower & soaker tub in master suite w w/walk in closet. Mudroom w/bench. 14'x10'6 cov patio. Front yard landscaped w/sprinklers. EA Gold cert." "OPEN HOUSE SAT 4/20 FROM 11AM-1PM. Nicely updated mid century family home. Open concept dining & LR, picture windows, & hardwoods. Updated kitchen & baths w/granite & SS appl. Mstr. suite w/views of territory & three mountain view. Large utility/pantry and over size garage. Lower level w/2 lrg. bdrms, Family rm.&FP w/sep. entrance. Poss. dual living. Shed, large garden area, & fire pit. Enough room to Build a shop or ADU. Sold as is." "Wonderful family home on lrg corner lot in desirable Forest Gale Heights neighborhood! Soaring entry w/ hardwood floors opens to vaulted living room. Spacious kitchen w/ large cook island, double ovens & newer LVT flooring. Nice family room off kitchen has a new cozy woodstove. Lrg vaulted master bedroom suite w/ jetted tub & walk-in closet. Fully fenced backyard has trex deck, tool shed & firewood stor. Boat/RV parking on side of home." "Slab quartz countertops, full tile backsplash, SS sink in Kitchen. Shaker style Maple cabinetry. SS Kitchen appliances incl 36 Verona dual fuel range, wall micro, dw & Whirlpool chimney hoodvent. Upgraded flooring in entry, kitch, greatrm, dining & owner's entry. Gas fpl in greatrm w/stacked surround surround & wood ledge mantle. 5'x4' tile shwer w/bench in master suite w/ soaker tub & w-i closet. 16'x11' covered patio." "Slab quartz countertops, full tile backsplash, SS sink in Kitchen. Shaker style Maple cabinetry. SS Kitchen appliances incl Whirlpool 5 burner gas cooktop, wall oven, wall micro, dw & Zephyr hoodvent. Hardwood flooring in entry, kitch, greatrm, dining. Gas fpl in greatrm w/tile surround & white painted mantle. 5'x4' tile shwer w/bench in master suite w/ soaker tub & w-i closet. 15'x10' covered patio. Front yard landsc"
"This beauty of a historic home sits on oversized corner lot, an incredible inviting front porch & a home w/tons of charm. 3 full bathrooms -2 updated, 4 bedrooms AND a wonderful attic that could be used for play room/bonus. Bedroom on main level. Living room/kitchen/dining w/open feeling. Basement w/possible 5th bedroom. Fantastic fenced back yard feels private. Covered carport. Great close in location to park, Pacific Univ. Must see!" "Slab quartz countertops, full tile backsplash, SS sink in Kitchen. Shaker style Maple cabinetry. SS Kitchen appliances incl Whirlpool 5 burner gas cooktop, wall oven, wall micro, dw & Broan chimney hoodvent. Upgraded flooring in entry, kitch, greatrm, dining. Gas fpl in greatrm w/tile surround & white painted mantle. 5'x4' tile shwer w/bench in master suite w/ soaker tub & w-i closet. 20'x10' partially covered patio. Front yard landsc"
"Beautiful well cared for 5 bed 3 bath home in Pacific Crossing, 3 car garage. 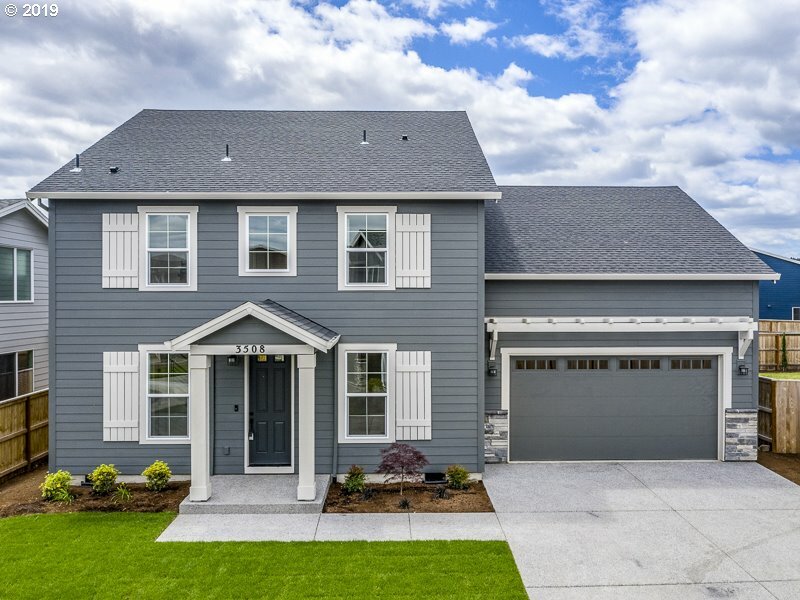 Main floor carpet ,Granite counter tops and stainless steel appliances in kitchen, large dining area, spacious master suite, bonus room upstairs! Den on main and a full bath. community pool, parks, and clubhouse. This one is a must see !!!!!!!!" 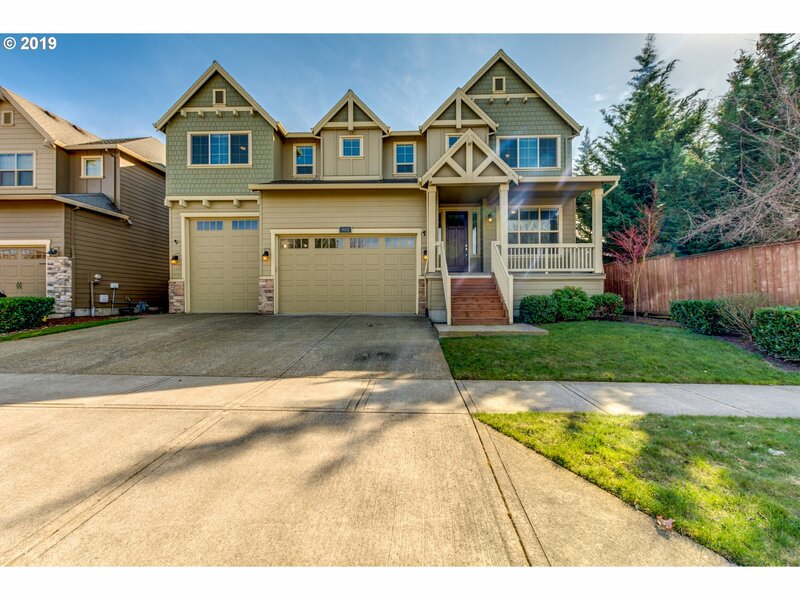 "Move-in ready, corner lot home with desired Open Floor Plan makes this home a must see. The main floor features a bedroom and full bath, perfect for guest. Open kitchen with granite, ss appliances, and huge island, perfect for entertaining. Spacious master suite w/wi closet, private soaking tub w/spa like features. Covered patio w/huge fenced yard. $75/mth HOA inc: pool, front yard lndscpg, commons, management, parks, and club house." "Nice neighborhood. Master on the main as well as a Den. Fenced large backyard with Patio great for summer entertaining. Walk to Thatcher park or a block to the community park. Gas connection for a gas range is in place. New paint in common areas of the house. Vacant, easy to show. well cared for."